A native of Granada, Jovanella has experience working in several areas of psychology, including community/social psychology and child and adolescent psychology in the education sector. She joined the team in 2018 as our first full-time staff psychologist, providing individual counseling sessions and group development workshops to all ages on a wide variety of subjects, such as values, self-esteem, expressing emotions, and sexual education. Jovanella graduated from the Universidad Centroamericana (UCA) where she attended on a full academic scholarship, due to her excellent grades at Colegio Teresiano in Granada. There she chose to study psychology in order to “understand herself and to illuminate the lives of other.” She has also received various courses and certificates on different psychological themes such as psychology in law and autism. She continues her studies whenever possible in order to grow her skill set. Before joining the Education Plus team, Jovanella worked with at risk girls and adolescents for Asociación Inhijambia, and later for Fundación Victoria, where she was charged with the personal development of students who were studying technical careers. 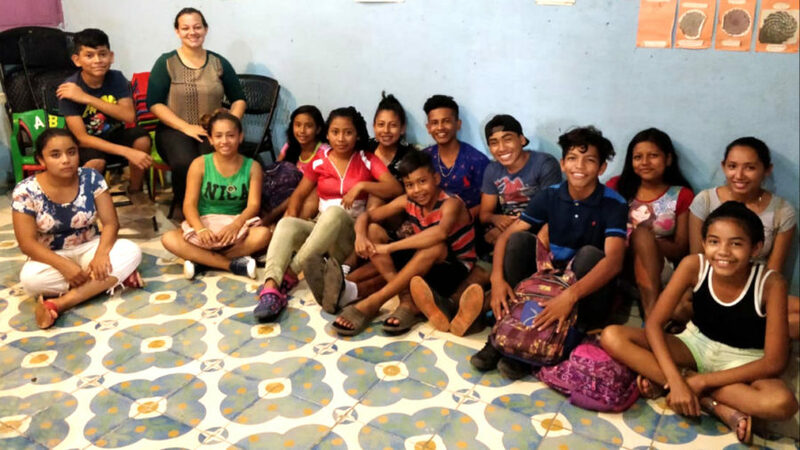 Jovanella says that to join Education Plus Nicaragua was one of the most beautiful surprises of her life, and that it has very quickly became her favorite job ever. 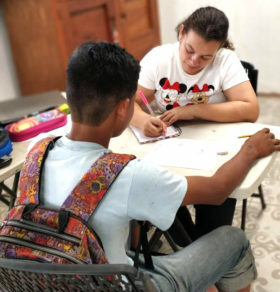 She says that at Casa de los Sueños she has found a place where she has always wanted to be, a place where she can put all of her skills to practice and, above all, help with the psychological development of the amazing children.